I like to write down my ideas. If I don’t they have a tendency to fade into the abyss. I used to keep a notebook, email myself, or just try to remember the idea. I wasn’t satisfied with these strategies because I was inconsistent with them. With a notebook (or journal) sometimes I just didn’t have it with me. And the idea of writing in it at the end of the day would result in many ideas fading away and being lost forever. Just trying to remember ideas was about the same as waiting until the end of the day. Too much lost and not enough recorded or put in place somewhere. When I started emailing myself this was better, but I get enough email already and would have to go through the process of sorting and organizing the messages. Earlier this year I was thinking about improving this process and it occurred to me that a blog would help me organize the ideas by using keywords. I did like the ease of emailing myself because I typically have my phone on me and that was convenient. Putting two and two together, I decided to create a Posterous blog. 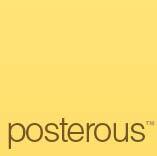 If you’re not familiar with Posterous, then I highly recommend you check it out. 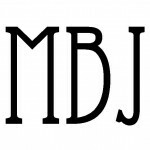 It’s probably the easiest way ever to begin blogging or keeping an online journal. Sure, Blogger, Word Press, or Tumblr have options to email in posts, but Posterous was designed specifically to email in posts. The platform was built to make blogging as simple as emailing post@posterous.com. You can do it right now. Just email post@posterous.com, the title of your post is your subject line, and the body of your email is the content of your post. You can even attach pictures, links, or video. With as simple as Posterous is I can now write down my ideas almost any time. If I’m already within my email I can just write a quick message. If I have my phone I can either write an email or use the Posterous app. I can even use the Share on Posterous tool within my browser if I want to add a link and some comments to a page I’ve found/read online. It’s just so simple that keeping my ideas in one place is now super easy. And I can keep it private and password protected. These are my thoughts. When I’m ready I’ll share them. For example, the idea to write this post was actually an entry in Posterous. Go ahead, try it. Log those ideas.